How easy it is to use Fusion Pos Point-Of-sale system for takeaway / Restaurant and manage online orders easily / deliver on time? 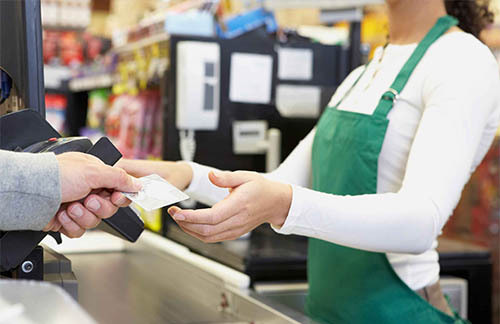 An abbreviation of POS is point of sale. It is a system which is used for the combination of computer software and hardware that allows merchants to take transactions as well all simplify key everyday trade operations. These systems are much more complex than traditional cash register because they are able to capture customer report workers productivity, data and even manage inventory. POS are used in many different industries, ranging from holes, hospitality and restaurants business, casinos, nail/beauty salons and stadiums. In a word, if something can be exchanged for monetary value POS system can be used. Fusion POS is a cloud-based POS and online ordering system that introduce the takeaway and restaurants to the digital world. It is a radical inkling that saves takeaways from paying hefty commission for third parties. Recently, retail point of sale system was among the most powerful, sophisticated, and user-friendly computer networks in commercial usage. FusionPos is the best ever online ordering provider. Their system is amazing and their account managers are very friendly and help us to promote our website. FusionPos ensure easy payment or gateway for your business so that you can control cost. If some applications are already implemented, FusinPos makes sure that the tool is integrated into the new system as well. At present, POS software is able to integrate with the numerouswell-known services and software. With the booming fame of online shopping, various organizations are selecting to operate on and off-line. Fusion POS ordering system is clear and simple for both the customers and our staff as well data and reports are very vital and allows us to check our takeaway performance even when we are on our holidays. POS system is useful for the restaurant industry. It is most evident in a fast food store. Nowadays most of the Point of sale methods are mostly used for a touchscreen display which helps speed up the whole order taking process. The accuracy of this method has helped reduction the time attached to serve and increase the effectiveness of the order process. POS method drastically cut down total operating costs as well as faults due to human error. Just think how much longer the order process would take if no such solutions existed? Now just a customer place the order and the cashier takes down the order, receives payment, very simple. POS systems collected data are well protected. Many POS systems offer end-to-end encryption of information, sense it remains encrypted when roaming from tables to processors.